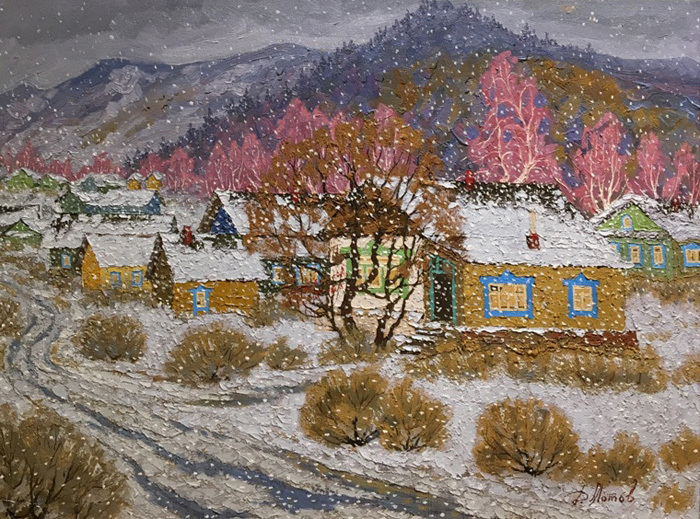 Dmitry Motov’s paintings of picturesque cottages, endless fields, small rivers and lakes, and rutted roads formed by rain characterize his rural life in Russia. All sides of life- even the mundane- are fondly depicted by the artist. Motov was born into a highly educated family of doctors in a village on the Volga River. 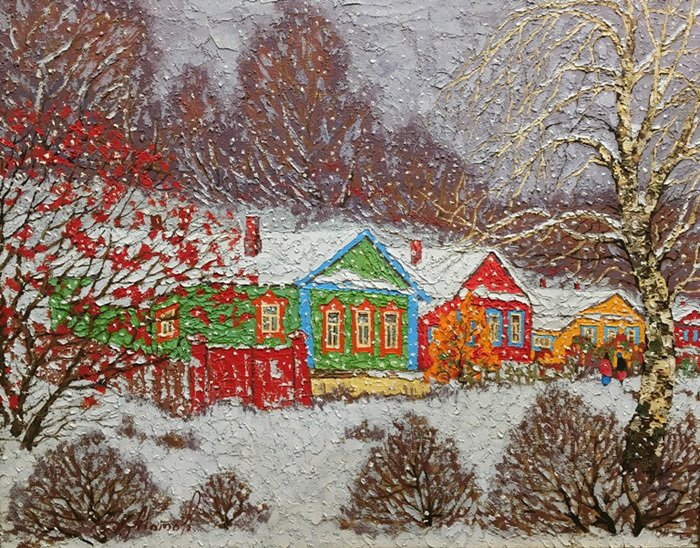 His parents had many friends who were artists and Dmitry’s artistic talent was observed when he was just 11 years old. His aptitude for art was encouraged and he soon learned how to build a composition, how to work with paint, light, and color. Mr. Motov’s further studies include work at the Art College in Kharkov City, Ukraine and study at the museums in Kharkov, Kiev, Moscow, and St. Petersburg. 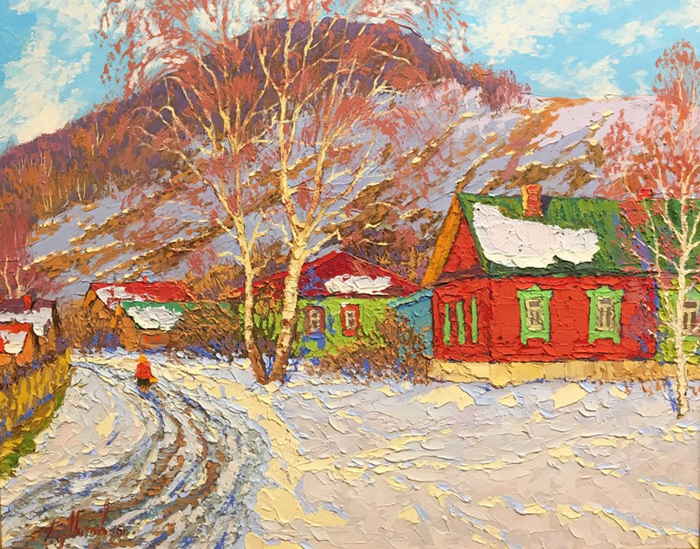 His art combines two treasures: the Russian School of painting and a distinct mastery of Folk Art.